Education is an important issue for expatriates and Vietnamese alike. 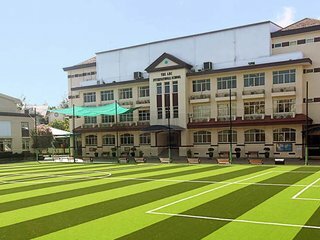 Fortunately, Ho Chi Minh City has a wide variety of first-rate international and local schools. For the expatriate community, education in Saigon is generally only necessary for a few years. Parents need to choose a curriculum which will be accepted worldwide so that their child may easily return to his or her home country (i.e. US, UK, Australia, Japan, Korea, etc.) or travel to any other country which accepts the chosen curriculum. 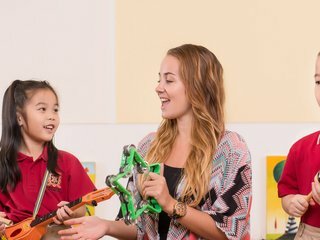 Conversely, a number of Vietnamese parents also choose international schools, but for other reasons: overseas universities require an international education, and international schools offer enhanced job prospects and career paths, a multicultural learning environment, interactive, open-form learning, and a wide array of extracurricular activities (art, music, swimming, etc.). What’s more, the value of international school education has improved exponentially over the past decade. This is reflected in the quality of their buildings, technology, and equipment and also in the excellent teaching staff attracted to HCMC, which may be due to the rising teaching wages. Salary packages have improved dramatically and Vietnam is now comparable with other Southeast Asian countries. On average, a school’s salary expenditure alone is between 75 percent and 92 percent of the total budget. In addition, some international schools are audited annually by their “home” countries to ensure that strict standards are maintained. In order to receive an international education, you must be prepared financially. Tuition fees vary greatly, but schools with a more advanced English curriculum range between US$10,000 and US$25,000 per year. In addition to tuition fees, expect to pay extra for enrolment, placement, uniforms, extracurricular activities, transportation and lunches. Even if you have no qualms with the tuition and fees, there is still no guarantee that the best schools will admit your child. So keep the selection process and long waiting lists in mind when choosing. Vietnam’s complex educational system includes pre-school, general education, vocational training, language schools, college and post-graduate education. Both state and private institutions, as well as educational programmes are available throughout the city. If you want your child to experience an authentic Vietnamese education, they can attend a Vietnamese school upon completion of a Vietnamese language test (often pending an interview with the school headmaster). 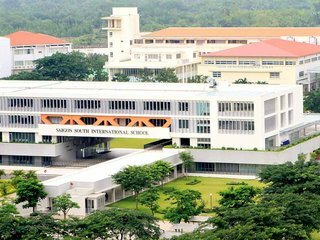 International students who do not speak Vietnamese may participate in some master's programmes available through Vietnamese universities in cooperation with international ones. The leading advantages of Vietnamese schools are lower fees, a sense of hard work, respect, and discipline.